Hacksburg will be hosting a Welding 101 class at the space this Sunday. Attendees will learn the basics of Flux Core Wire & Stick Welding of Mild Steel. 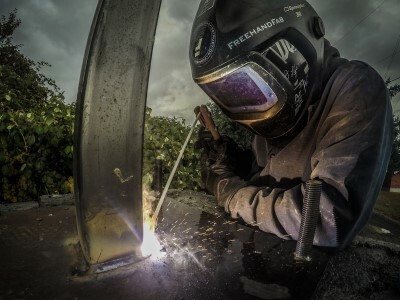 Feel free to bring your own welding project to work on. Please wear Cotton clothes, no Nylon, Rayon or similar materials that melt & burn! Helmet, gloves and welding jacket will be available for use. Registration starts at 12:30pm onsite. You must be present at 1:00pm to participate due to the fact that Welding Safety will be covered at the start of the class. Persons under 18 must be accompanied by parent or guardian. Cost: Free for members; $5 for non-members to cover materials. This Sunday is Hacksburg Disassembly Day! We will be going through our storage room and harvesting useful parts from the devices and equipment that have been donated to the space. If you like taking things apart (and not having to worry about putting them back together) feel free to come by the workspace between 1 and 5 PM. Additionally, at next week’s meeting (8/7 at 7:30 PM) we will be discussing and planning upcoming events for the next few months. To keep things organized, we have created a wiki page to document and collaborate on ideas: https://wiki.hacksburg.org/events:2018:FallPlanning If you have ideas for activities you’d like to do or would be willing to lead, please add them to the wiki or bring them to the meeting! If you can’t make it to the meeting and still wish to discuss an event, please feel free to make a post on the Hacksburg Discussion email list. Sunday, after Summer Solstice, we will have an open house. Please drop by for that as well, to check out the space, show cool projects off, and meet members of the maker community here in the New River Valley! Hours are 1pm to 5pm. Hacksburg will be hosting a laser cutter class at the space this Saturday. This class offers attendees a tutorial on using the Hacksburg 80W CO2 Laser Cutter. Basic laser safety, design guidelines, and examples will be presented. Attendees will get to make their own laser engraved object! 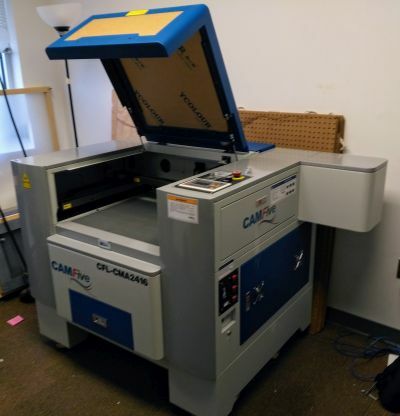 More information on the laser cutter can be found on our Wiki. Cost: Free for members; recommended $5 donation for non-members. This event and the laser cutter are made possible due to generous support from Rackspace. Hello everyone! We’re having a general meeting tonight at 7:30 PM at the space. We’ll be discussing the upcoming plasma sword classes and contest, hearing about laser cutter training, and sharing ideas for World Create Day. If you have thoughts about a World Create Day project, please bring them tonight! As always, these meetings are free and open to the public at large, where you can get tours of the space and its equipment, ask questions about the space, see what business we conduct, and so forth. If you were curious about Hacksburg but didn’t know where to start, tonight’s the night to stop by!